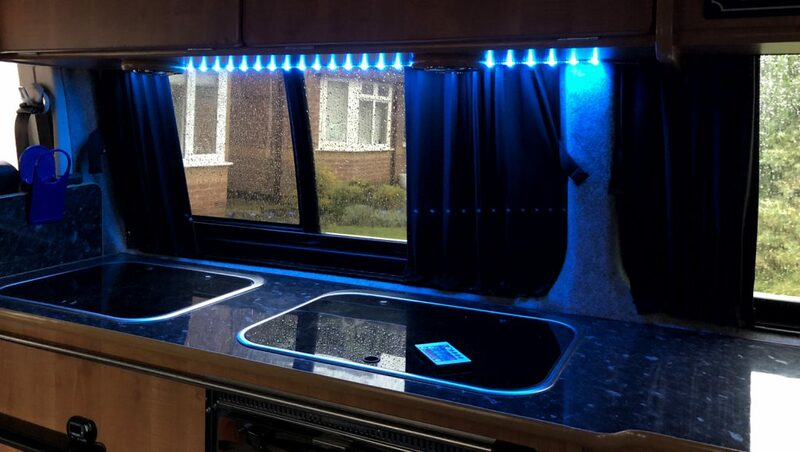 Wow, it’s been 5 years since I first posted about the LED lighting for the Campervan. I recently installed a really cheap LED lighting strip that is colour changing by remote control and thought it would be a good time to share a few pictures and links. 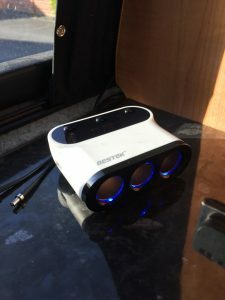 For under a tenner I added a 12v car lighter adaptor from Amazon with 3 lighter sockets and 2 USB sockets into the AUX feed on the campervan’s Power Management Unit (PMS). This also provides an intelligent battery voltage display showing the state of the leisure battery and also the drain from the devices being used. 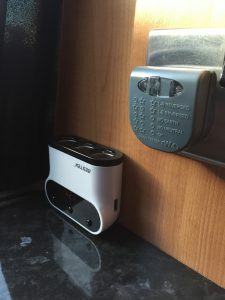 It’s a nice addition to the campervan and allows us to easily charge many devices in the back. 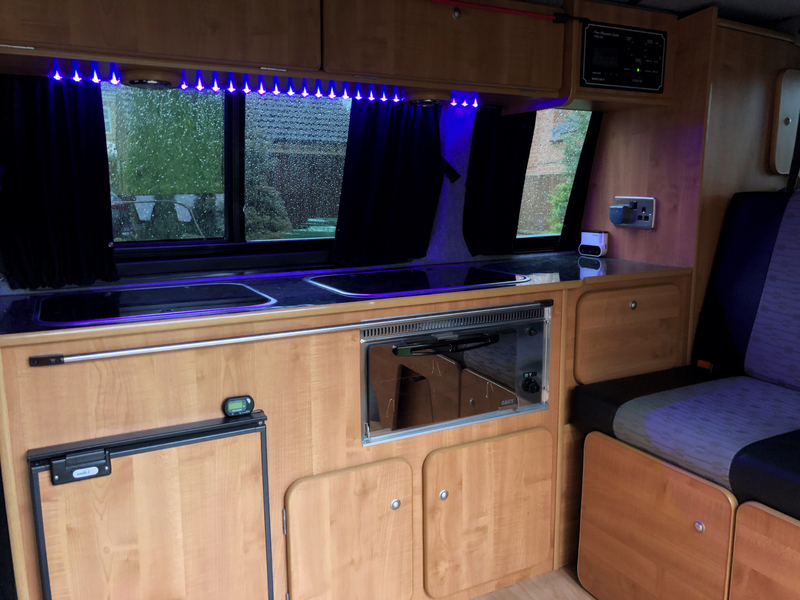 I purchased a cheap 30 LED RGB Light Strip from Amazon for £6.99 and it provides interior habitation lighting that can be adjusted to suite mood by colour changing or dimming of the LED lights. 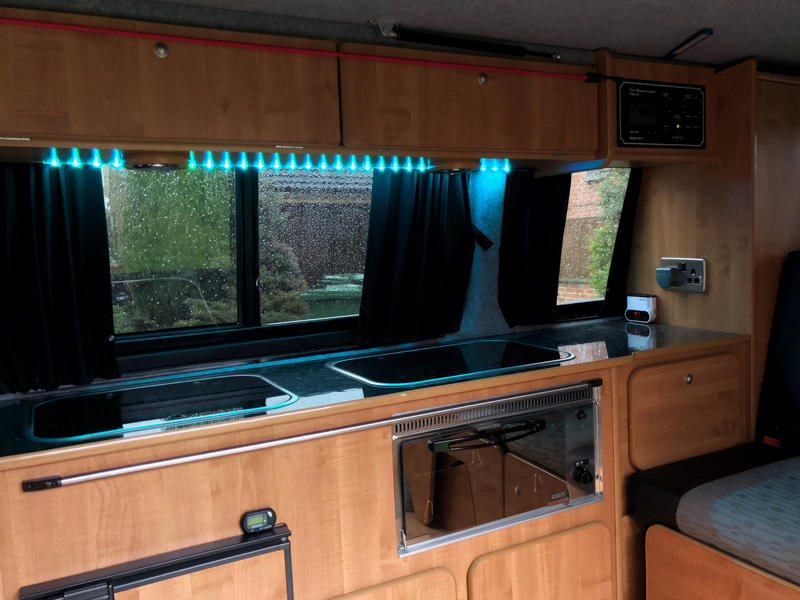 It’s running from one of the USB sockets in the 12v adaptor above that’s permanently live from the 12v leisure battery. 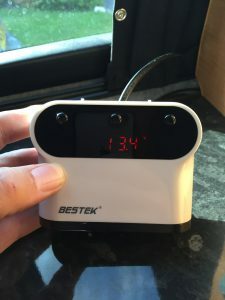 Being only 5 volts USB on full brightness this is an excellent way to conserve the battery while camping without mains power. 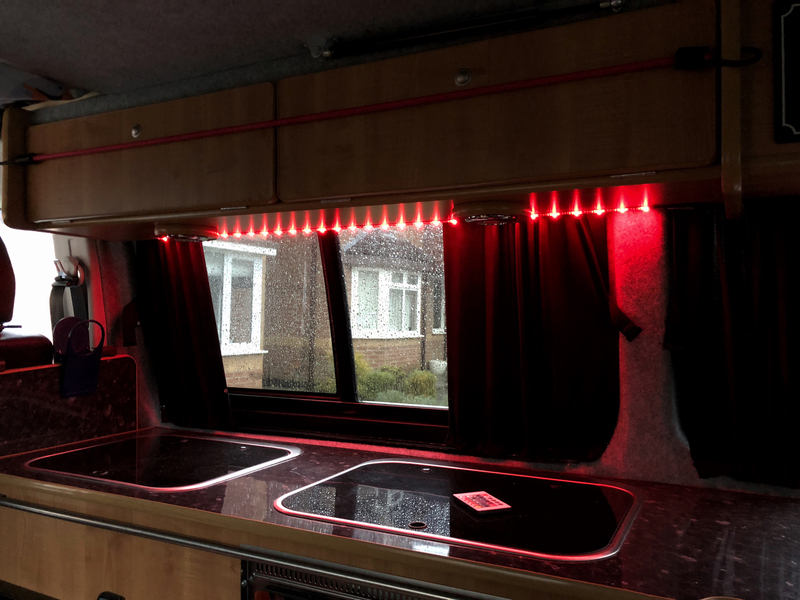 It also provides a welcome light when passengers climb into the back of the campervan. 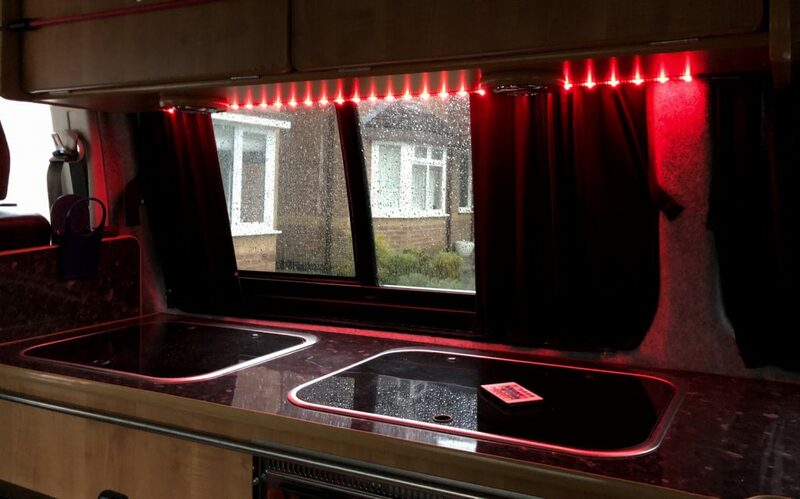 Installation is simple with the LED strip using a strong 3M double-sided adhesive that just pushes into place. 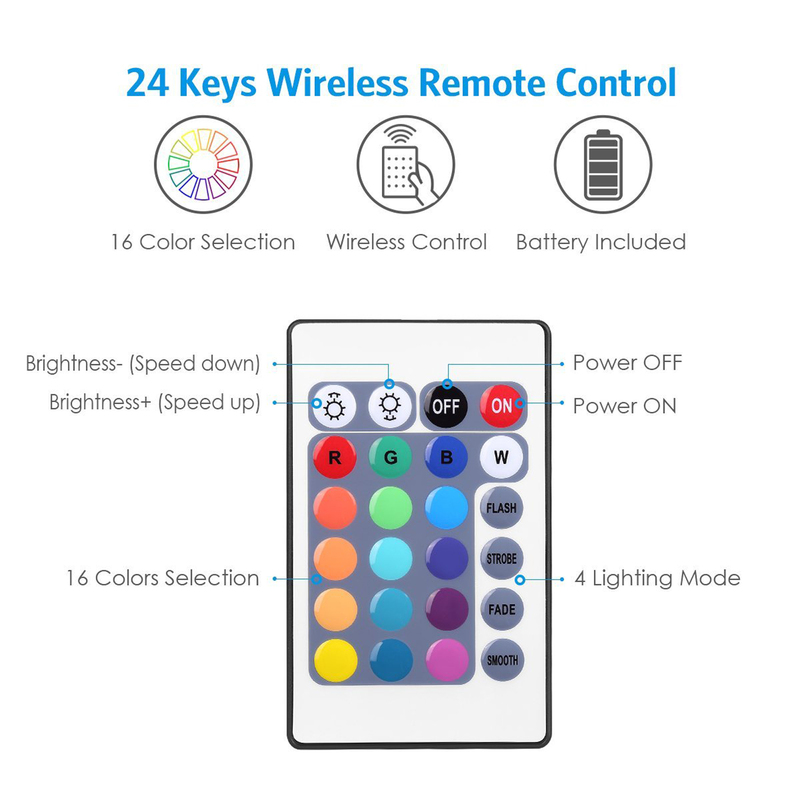 The remote needs to have sight of the IR receiver which is on a small cable, this can just hang down or be stuck onto the surface. 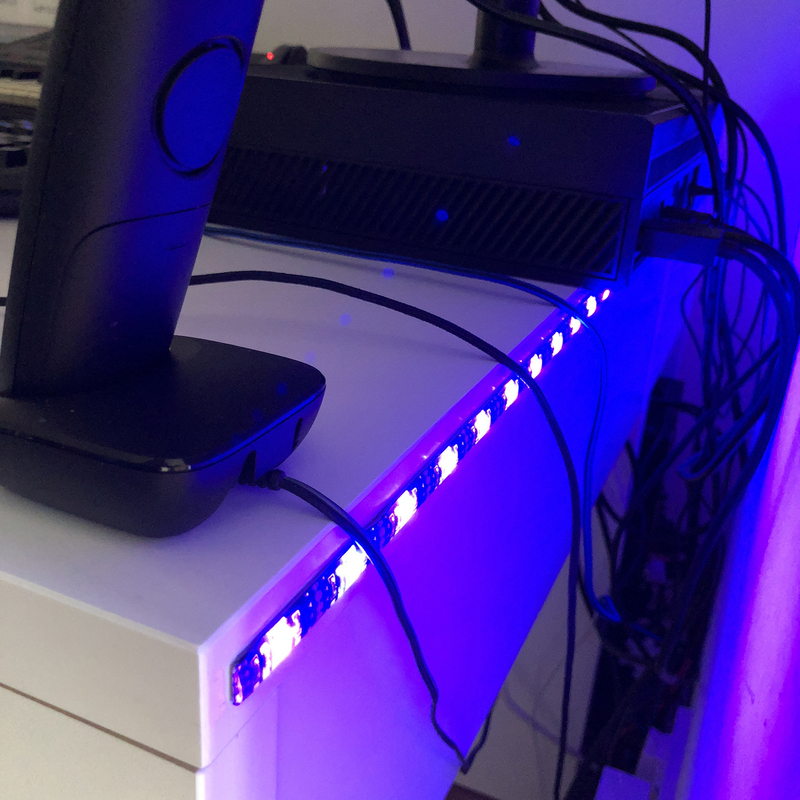 The LED lighting strip is also waterproof and is covered in a pleasing silicone meaning no rough edges on the LED’s that I’ve experienced in the past. 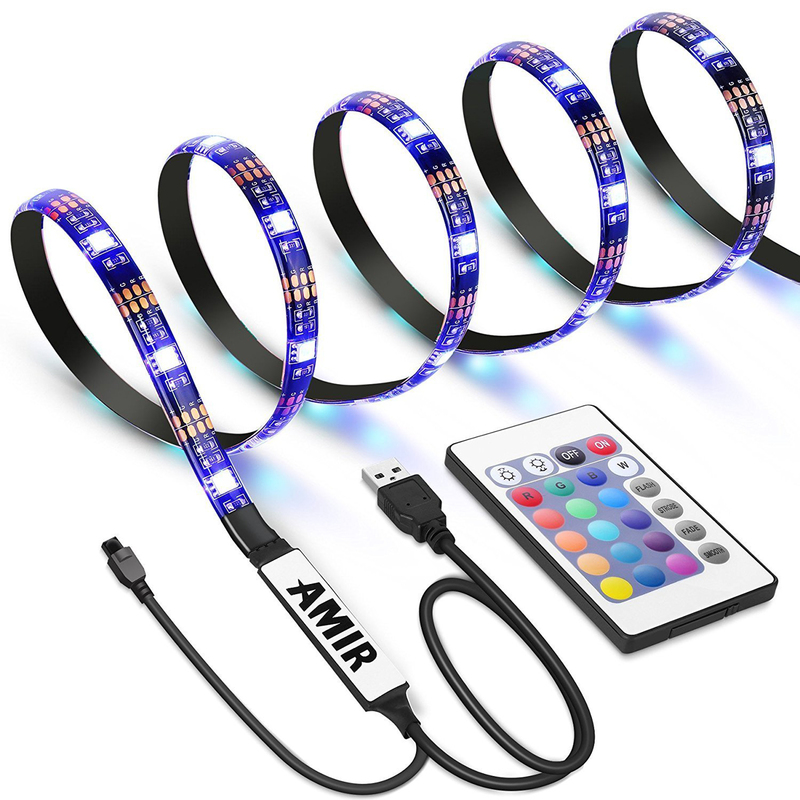 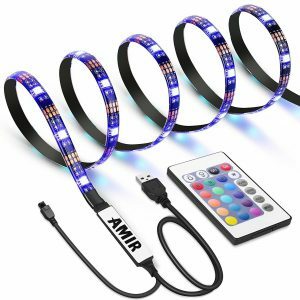 The cheap LED lighting strip is actually designed to connect to the USB port on a TV or computer monitor to provide a backlight. 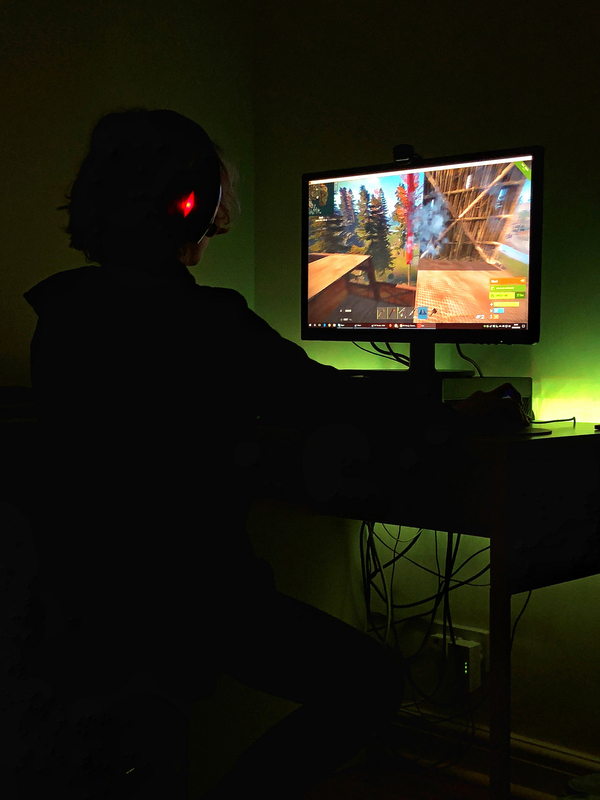 I’ve already installed one of these on my Son’s gaming PC and once set for colour and brightness it automatically turns on and off when the PC is powered. 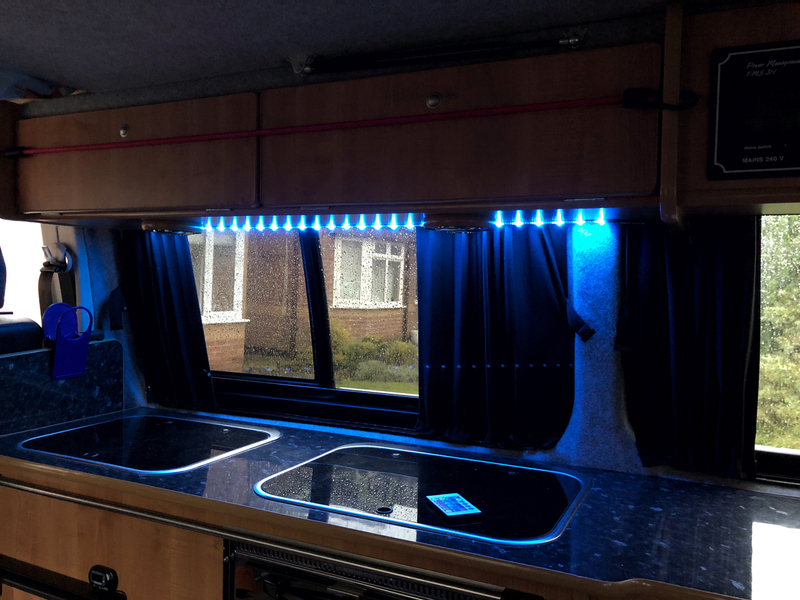 Anyway, for little outlay you can install a remote controlled LED lighting strip in your campervan with ease and I’m pleased with the upgrade from the previous version. 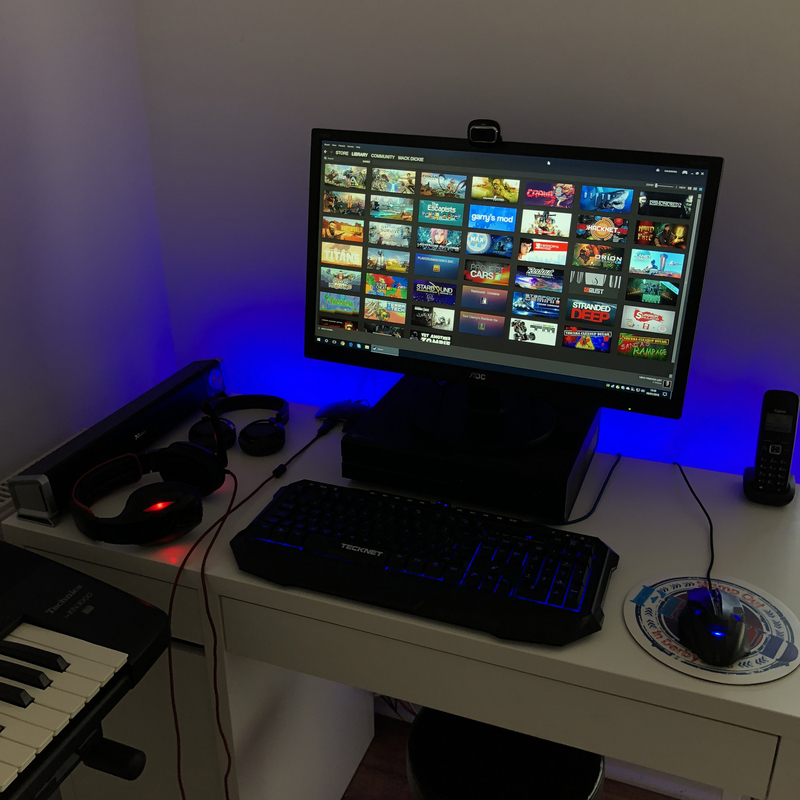 Might have to get another one of these for bedroom TV!